But in training ahead of the Arsenal V Barcelona clash, Arshavin had been training in not just one – but two pairs of Superfly II‘s! Also – Kudos to Arshavin for sticking with his Nike (RED) laces – we’ve noticed several players switching back to regular laces, but with Arsenal and the Emirates being so closely linked to the campaign, it’s great to see one of their most high-profile players still in them! 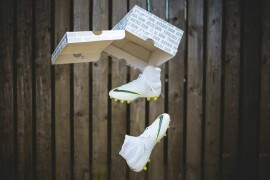 The second is this unusual pair – As you can tell by the studs, they are very much Superfly II’s. However, the unique blackout colourway is the big difference to the retail models. Whilst unusual, this colourscheme is no stranger to the Russian as Arshavin famously wore his Black/White Leather Vapor IV’s for many games with Arsenal, despite the boot only ever being released at NikeiD stores. The really observant among you will also notice the very strange tongue that his football boots seem to be sporting! Completely different to the lace cover on the Vapor VI, this tongue looks more like it was taken straight off the Tiempo 94!! Some in the FB office reckon it’s not a tongue at all, but rather something inside his boots that he’s using whilst breaking them in, others say that it’s just the inside of the boot folded over. But some are insisting that it’s too long to be either of those! 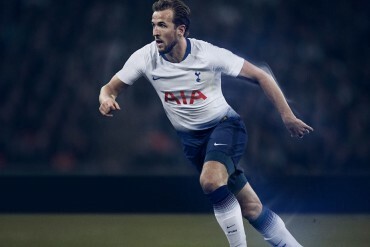 It would be nice to have a Nike (or Adidas) insider working for Footy-Boots.com because then we would know the answer to all these questions! 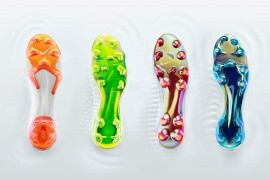 I have a few more for example: How do players choose what boots (sole, upper etc) they train in to break in a shoe? And who advises them (ie do they have boot advisors)? It would be awesome to know how the pros go about it all. Hey Perry – any excuse to post one of my favourite videos ever! And Matt – Yeah, We think you’re right there, at least in some games. 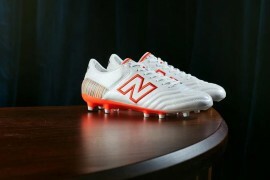 In others he was wearing the Euro 2008 range, which were actually a really dark brown, with a light blue sole! If, like above you zoom in you can tell it’s just the ordinary tongue folded outwards. Yes, I zoomed in on the boots and he just has the normal (guess you could say “tongue”) folded over. After all that he seemed to wear the Yellow Superfly 1 last night. Must say great performance from Zlatan and Theo in the Superfly 2 though! 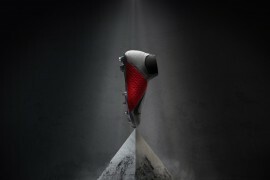 Leather Superflys for the world cup? anyone? maybe kanga-lite? thats supposed to be lighter yah? 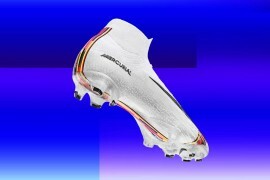 I have similar mercurial vapor ( whit out the tongue of course). Ive gotten word theyre just a blackout version. too bad, i think a leather vapor would appeal to a few people.